Richard Denning is the Safety and Reliability Society’s (SaRS) newly appointed President for 2018-2021. 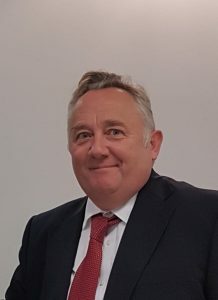 A member of SaRS Council since 2001, and a senior expert on dependability at Defence Equipment and Support (DE&S), Richard has played a key role in developing improvements to the Reliability profession across defence. This will be Richard’s second term as president of the society, he has also undertaken various other council roles including: Chairman, Financial Director, Editor of the society’s journal and Chairman of the Membership committee. He is advocate for the need to increase the skills and knowledge of Safety and Reliability Professionals and of those associated disciplines.